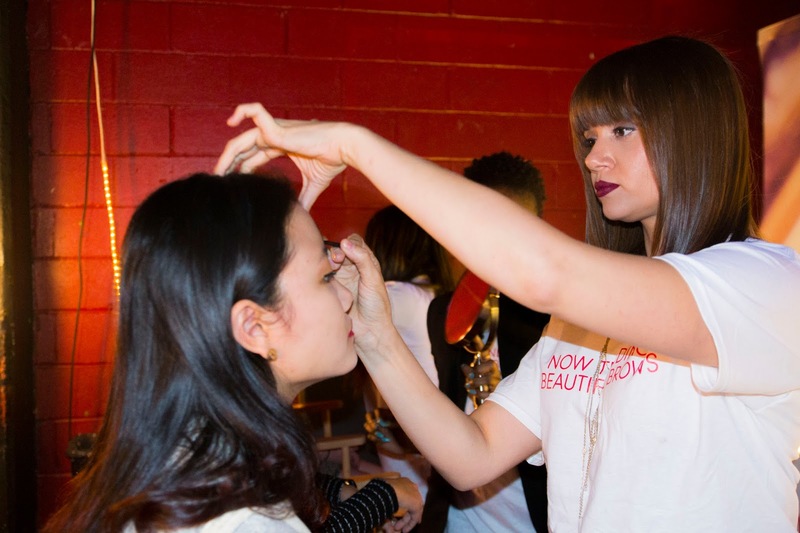 3 Reasons why College Fashion Week NYC rocked! This past weekend I was given the opportunity to attend College Fashion Week hosted by Her Campus Media in New York City and definitely had a blast! 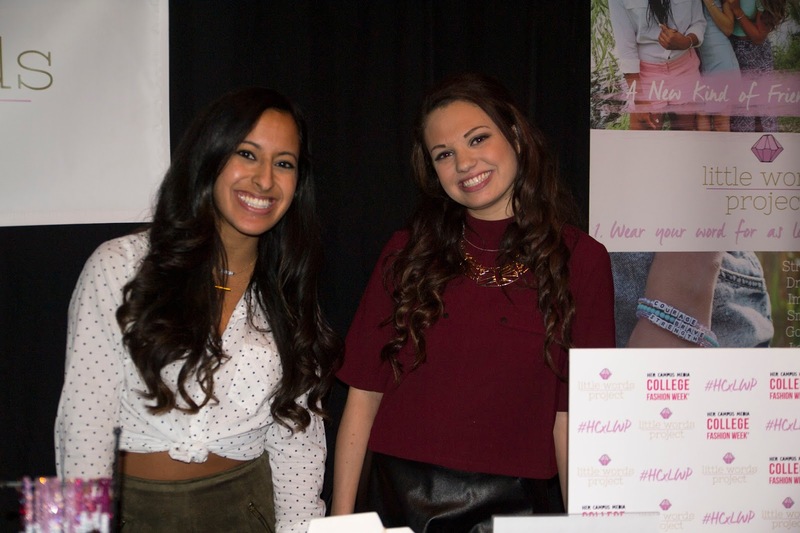 College Fashion Week (CFW) has served as a must attend event for Collegiette’s all around the United States who have a love for fashion and being exposed to awesome companies such as Milani and People StyleWatch. 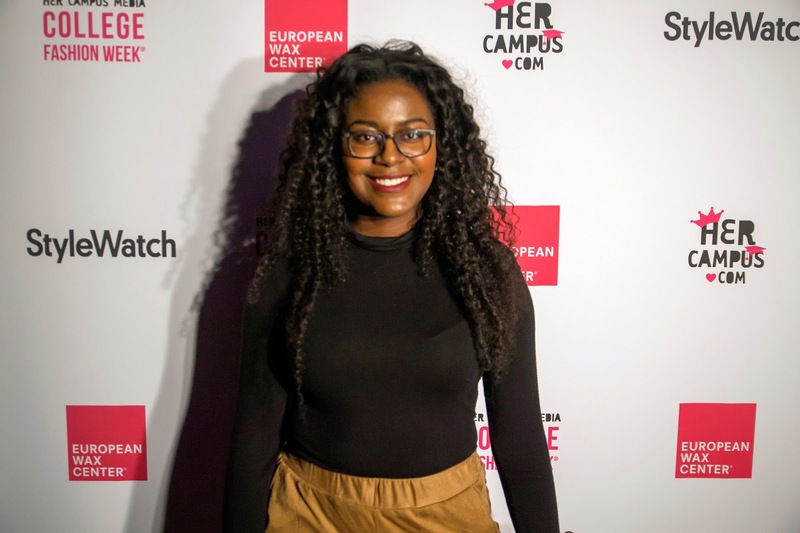 Collegiette: a college woman who is on top of her game – strategically career-minded, distinctly fashionable, socially connected, academically driven, and smartly health-conscious, who endeavors to get the most out of her college experience on every level. College Fashion Week has to go down in the books as one of the most interactive fashion shows that I’ve ever been to. 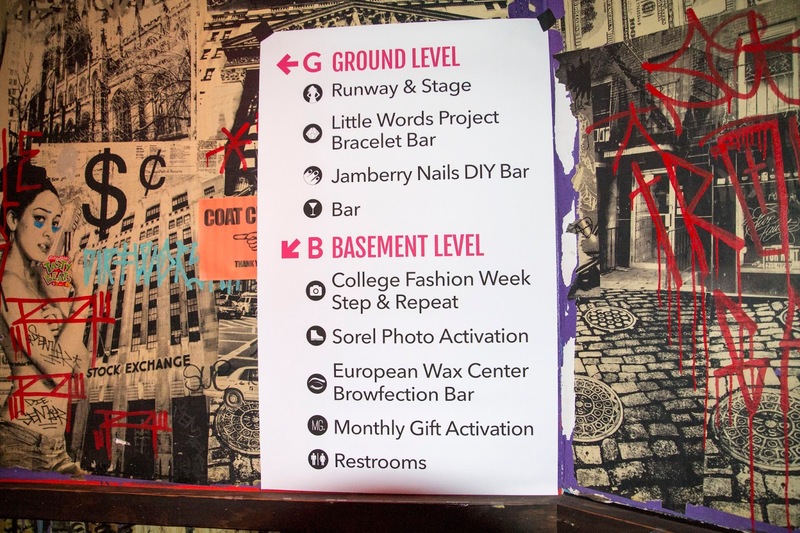 European Wax Center was in attendance providing complementary eyebrow shaping at their Browfection Bar, Jamberry had the cutest DIY nail wraps, and SOREL’s Photo booth was a ton of fun! The activation’s added a different and innovative alternative to your standard fashion show. One brand that definitely caught my eye while browsing the activation’s was Monthly Gift. Monthly Gift is an upcoming company that provides you with a box of goodies (including chocolate) around that “time of the month.” Definitely keep an eye out for their launch ladies & and click here to visit their site for more information! So let me give you guys some quick background information about Her Campus. Her Campus is known as the top community for college women. All of the content on the sites are written by college journalists focusing on topics such as fashion, health, love and career. It was founded by 3 Harvard graduates (Stephanie Kaplan ’10, Windsor Hanger ’10, and Annie Wang ’11) during their undergraduate years and has blossomed into a company that has been very impactful. 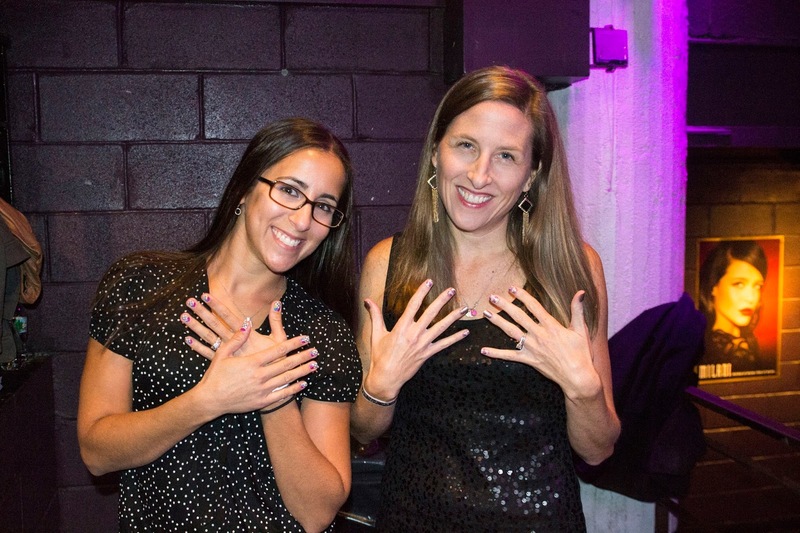 Windsor along with an editor from People StyleWatch were the hosts for the night and gave the audience insightful fashion and beauty tips that could be utilized every day. The models were of all shapes and sizes which allowed the viewers to truly relate because the show was very realistic. There were also two performers (Teenear and Columbia Sharp) who are within the same millennial age group which got the crowd really excited. It was empowering to see women my age strutting down the runway and being able to attend an event that was tailored to my age group. 3. Fashion was on FLEEK! 1. If heading to class instead of grabbing those comfy sweats opt for denim pieces. Don’t limit the denim just to pants but instead try a denim dress or top. 2. For weekend looks try to add in trendy pieces such as 70s flare jeans or a printed cape. 3. When choosing a date night outfit definitely dress to impress. Try mixing casual pieces with a dressier piece to add a touch of glam. 4. Trying to figure out the perfect party look? Be sure to go bold and bend the rules by mixing different trends, prints, and textures. 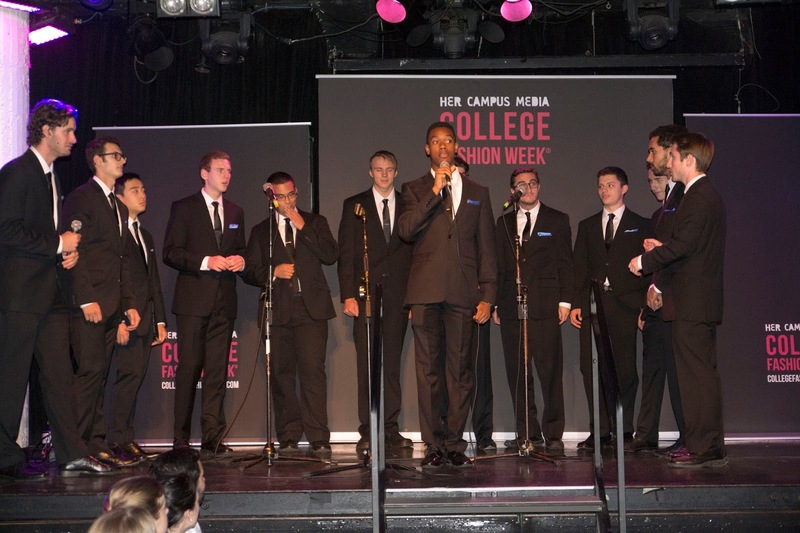 I had a blast serving as Press for College Fashion Week New York City 2015 and hope you all enjoyed this post. Be sure to look out for next years show and support Her Campus!